Is Marquez cheating Pacquiao using the footstopper technique many times? 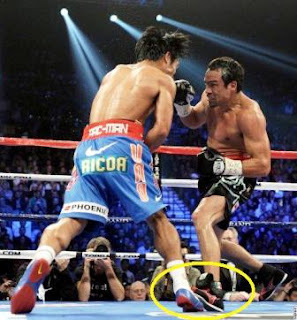 Juan Manuel Marquez cheating cheater, marquez foot stepper, marquez foot stopper, marquez stopm pacquiao many times cheating, marquez cheats pacquiao by foot stomp foot stepping, foot stopper, footstepper, marquez cheating, is marquez won via cheating?, marquez vs pacquiao cheating images, pictures, videos of foot stepping by Juan Manuel Marquez the foot stopper. What do you think of Pacquiao vs Marquez 3? 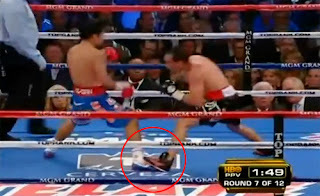 Is it right for Marquez to stomp Pacquiao's feet a couple of times? As we all know "Cheater never wins, Winner never Cheats..."
See how Marquez overly extending intentionally his feet? Obviously, it is intentional. How come it is one-sided if it's accidental and common to southpaw against an orthodox fighter? 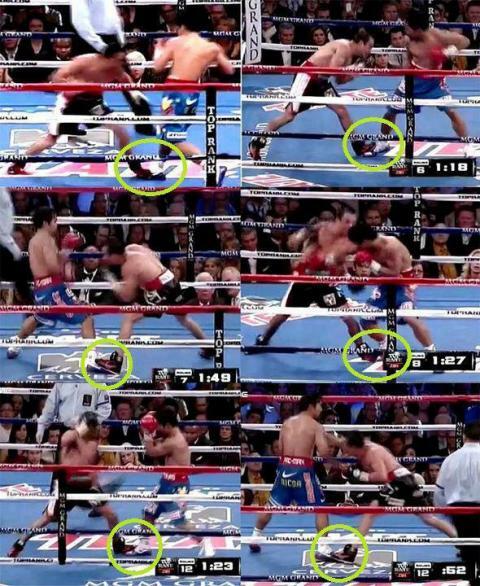 What I mean is only Marquez stomps on the foot of Manny while the latter did not. Probably it is not intentional on the part of Marquez but to know it was repeated a number of times sounds like cheating or part of his strategy? Marquez really having enough plan and practice about foot-stopper technique. And He was very successful and I would like to congratulate him for that best technique he does. And as you noticed Marquez trains very hard inorder to catch Pacquiao's foot so well and after that making his best counter punch. What do you think about Pacquiao - Marquez Fight? Is it Marquez should won via Footstopper Technique?